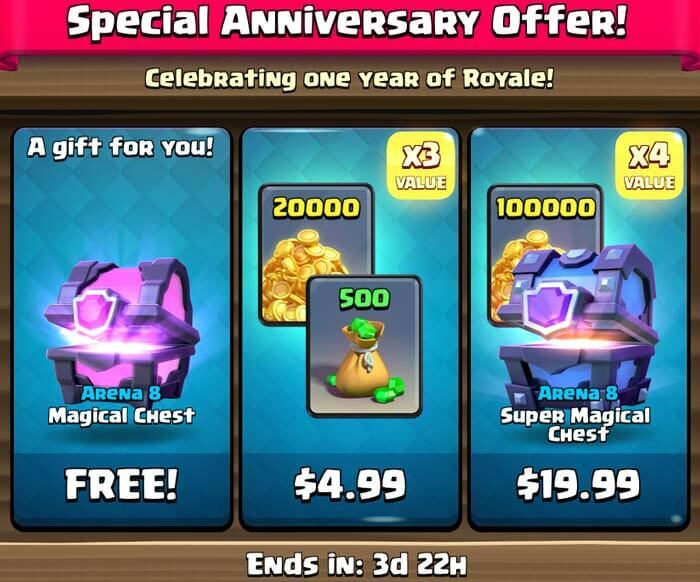 Clash Royale is 1 year old, and to celebrate this, SuperCell is giving away a Free Magical Chest! To get the chest just go to the shop. This offer expires in 4 days, so don’t waste time! Happy anniversary to entire Clash Royale community! 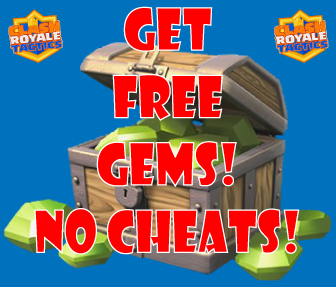 I wanted to have a free gems . I bought a legendary chest for 500 gems in the shop and got the new legendary-mega knight. I’m saving up gems again to open more legendary chests.